Zosia Zgolak and I had made plans to drive to Penticton, British Columbia (BC) from Calgary, Alberta via the Trans Canada Highway on 10 June 2017, but a temporary closure of the highway due to a washout forced us to take a longer but more scenic route via the Crowsnest Highway. We took numerous rest stops along the way to break up the long drive and stretch out our legs. 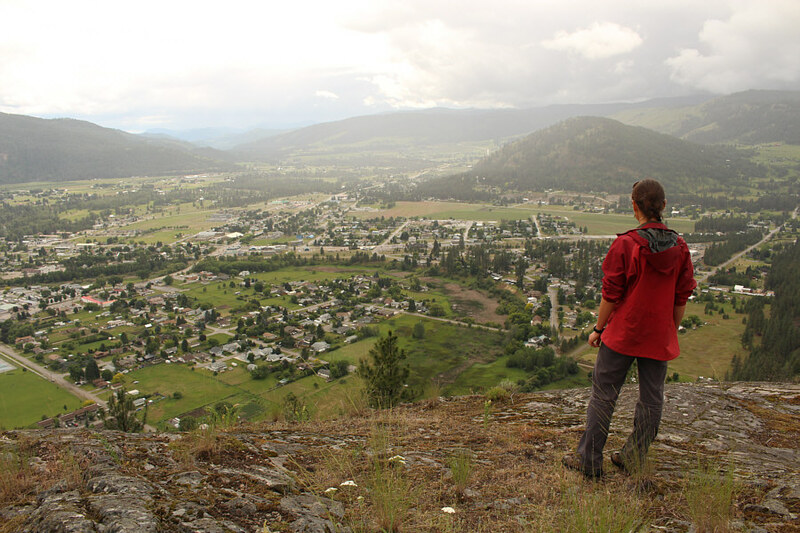 For one of our "rest stops", we hiked up Observation Mountain which overlooks the town of Grand Forks, BC. 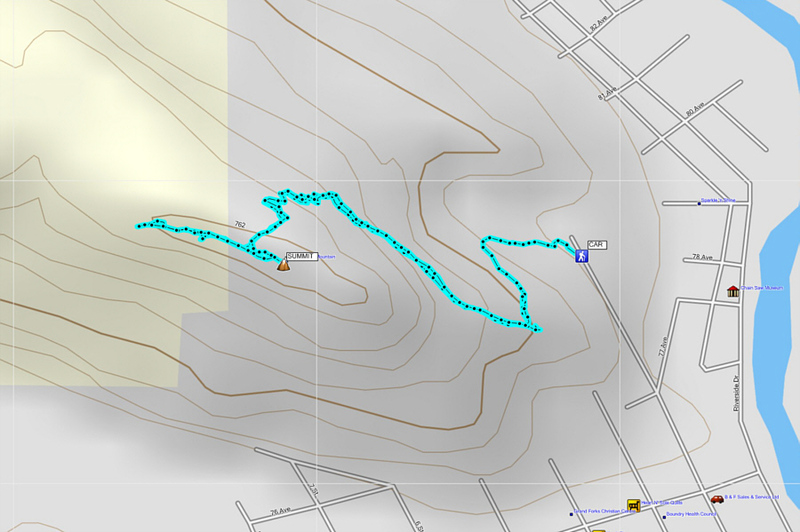 Although a winding service road leads to the top from the west, we opted to hike up a steeper but more direct trail on the east side of the mountain. This trail begins at the northern terminus of 2nd Street and has the benefit of not intruding on private land. 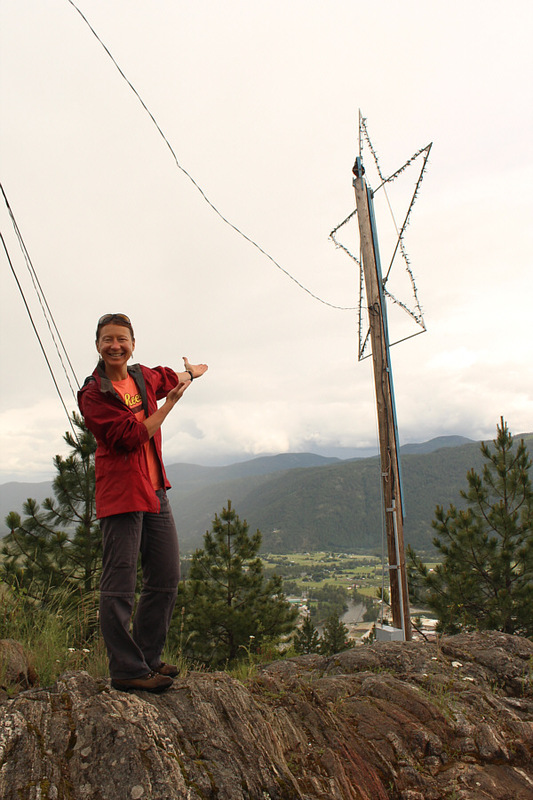 The trail was well-maintained, and we had no trouble following it to the top which is adorned with various man-made structures including a string of lights shaped into a star. 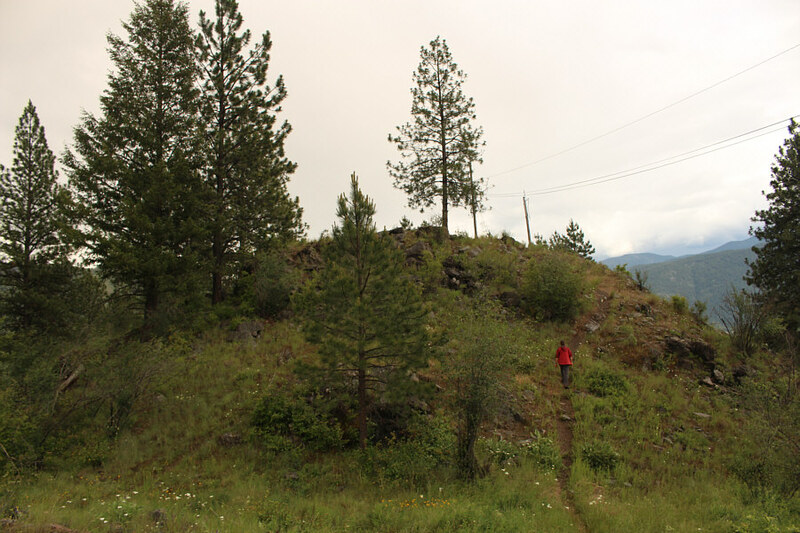 After tagging the summit, we promptly descended the trail we came up, and suitably rejuvenated by this short hike, we happily resumed our drive to Penticton. 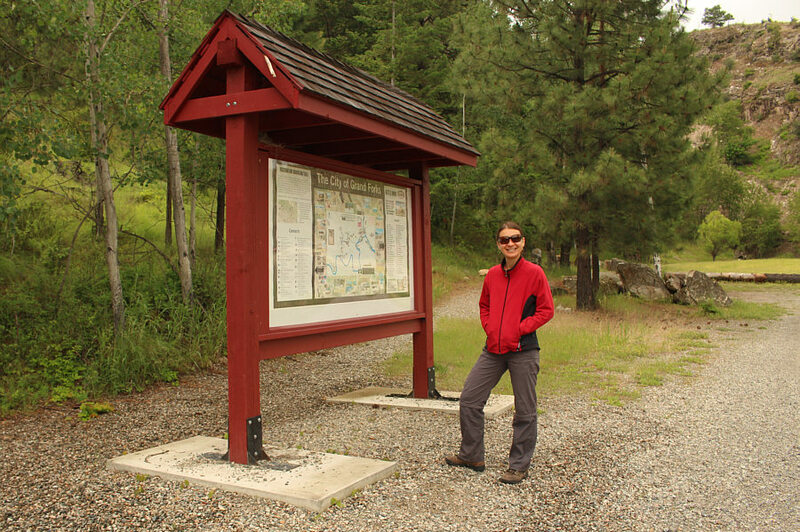 Zosia stands by an information board at the trailhead. 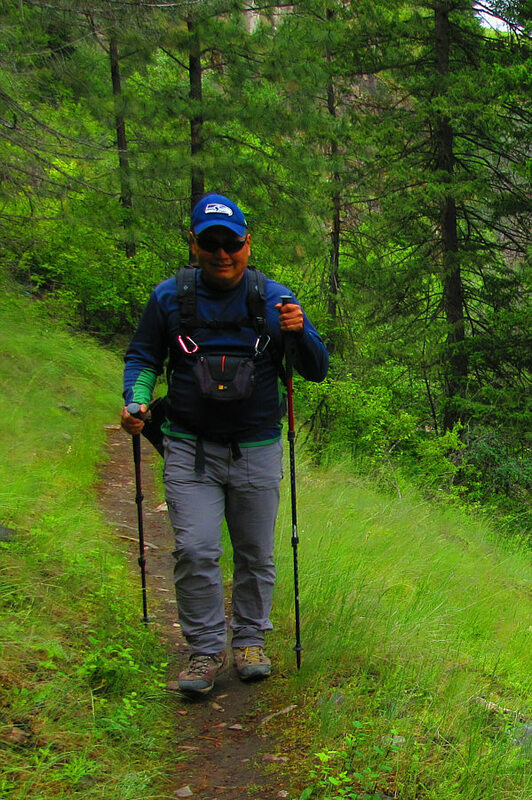 Sonny marches up the well-maintained trail. 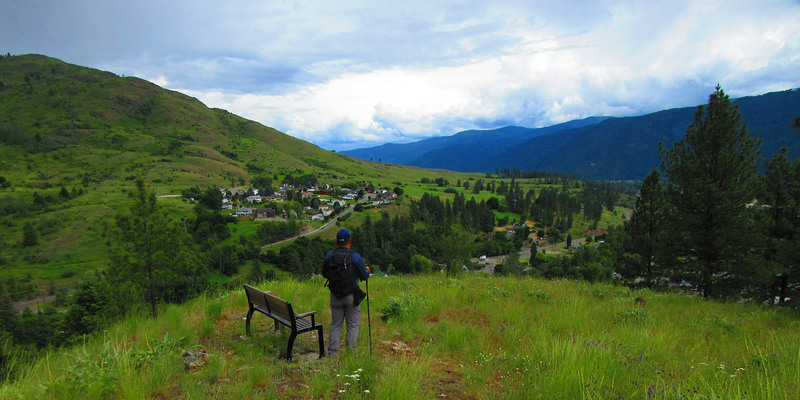 Sonny arrives at a bench overlooking the east side of Grand Forks. 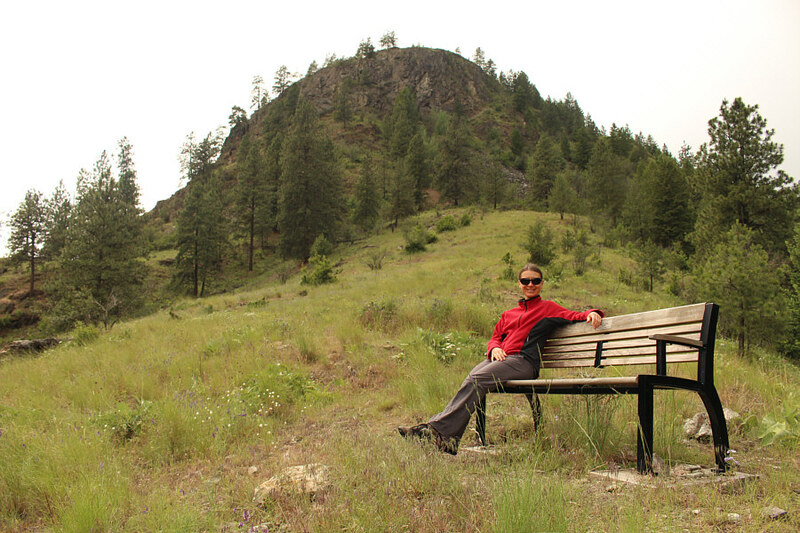 The top of Observation Mountain is directly behind Zosia. 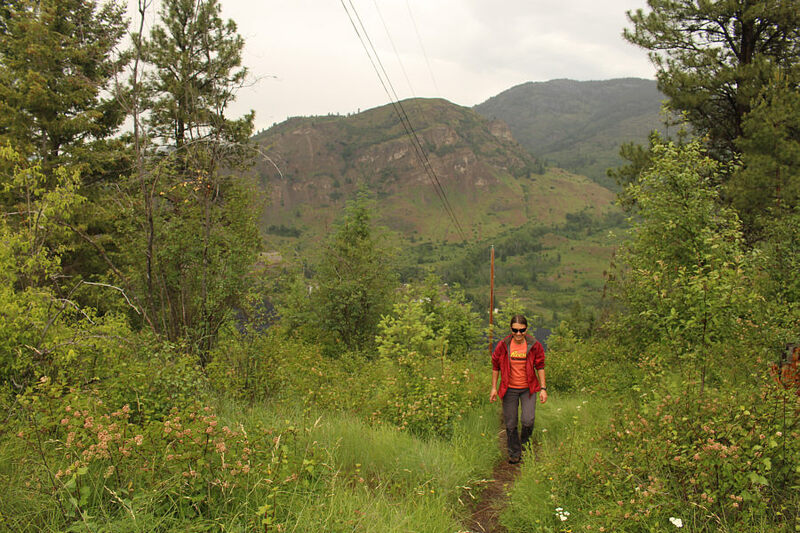 Zosia walks up the trail just before the summit plateau. The hill at centre is unofficially known as Elephant Head. Zosia surveys the west side of Grand Forks. The mountains at far left are within the state of Washington. Zosia hikes up to the true summit. On the summit, Zosia presents a string of lights shaped into a star. 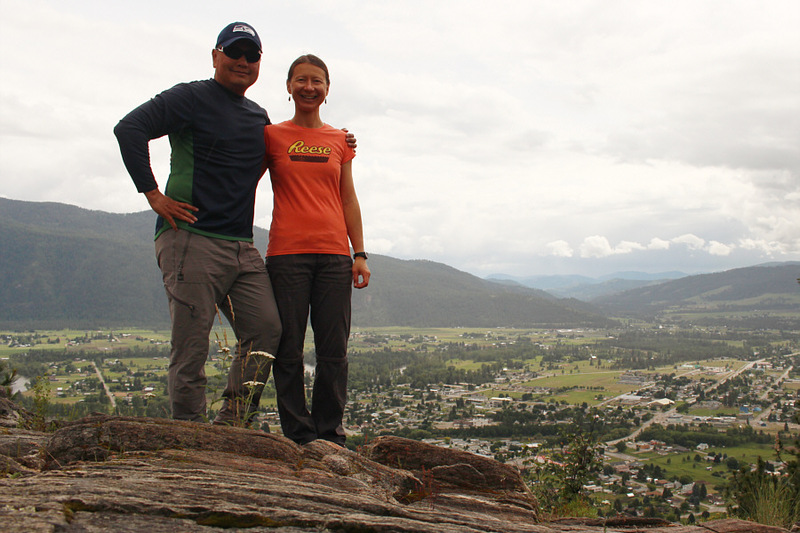 Sonny and Zosia stand on the summit of Observation Mountain (766 metres).